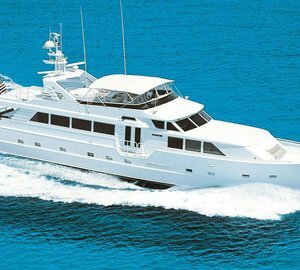 Motor yacht EXIT STRATEGY (ex.DREAM) is available for charter in Florida and the Bahamas, with an excellent deal of 7 days for the price of 5 for certain dates in Newport. 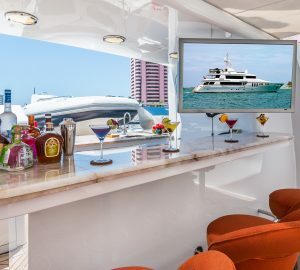 Built in 2006 and refitted in 2015, this 32m/105ft Hargrave superyacht features interiors by Shelley and offers guests a timeless environment with plenty of water toys and relaxation facilities at a great price. 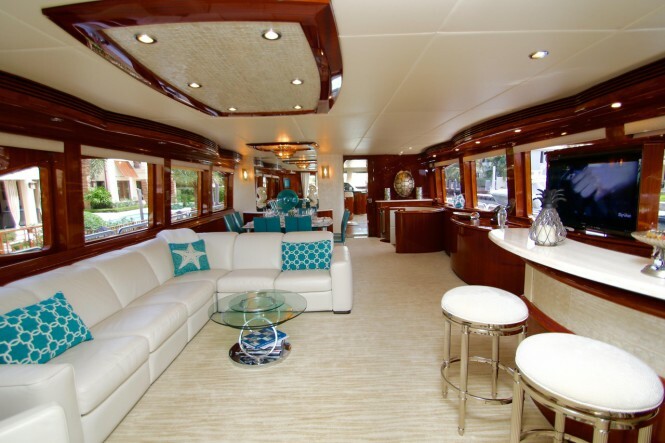 The open plan salon is efficiently designed to create a spacious environment filled with a bar and formal dining area for meals, refreshments and entertainment at any time throughout the journey. The L-shaped seating area is ideally situated close to the aft for plenty of natural light and for quick access to the stunning pale blue seating area perfect for outdoor dining in style. 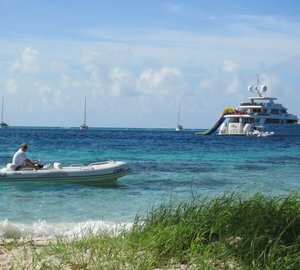 Luxury yacht EXIT STRATEGY has everything for a successful sunbathing session, with plush sunpads on the bow as well as the flybridge, a Jacuzzi with excellent views over your Bahamas destinations and a shaded alfresco dining area for meals and refreshments before returning to the glorious sunny weather. The on board gym equipment will ensure that every guest can maintain a fitness regime while cruising from one amazing destination to the next. 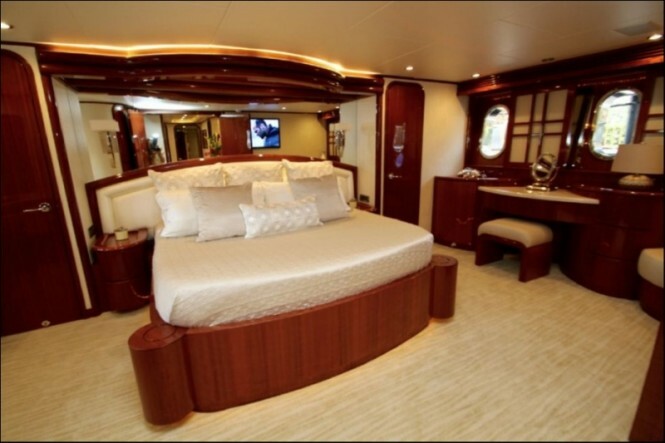 The accommodation is arranged to sleep 8 guests over 4 cabins: 1 Master suite, 1 VIP stateroom and 2 twin cabins. 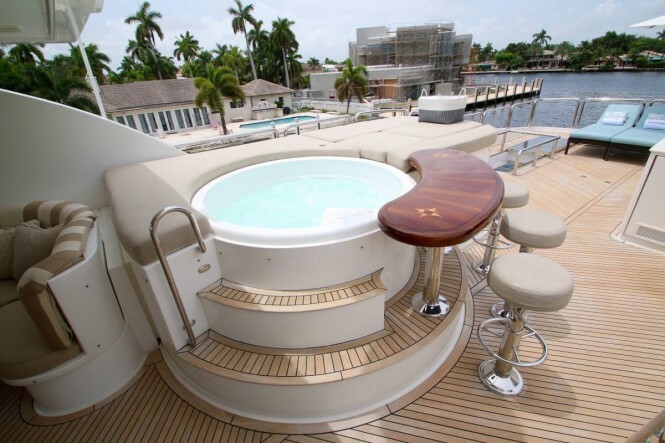 An expert crew of 4 will ensure that every guest receives stellar service throughout their time on board. 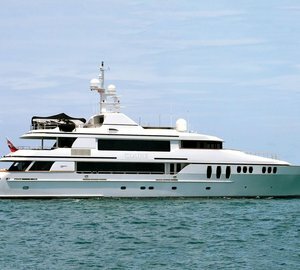 Charter superyacht EXIT STRATEGY in Florida and the Bahamas from $ 45,000-$49,000 USD per week plus expenses, and at the special rate of $37,500 USD per week plus expenses in Newport between the 11th-20th of September. 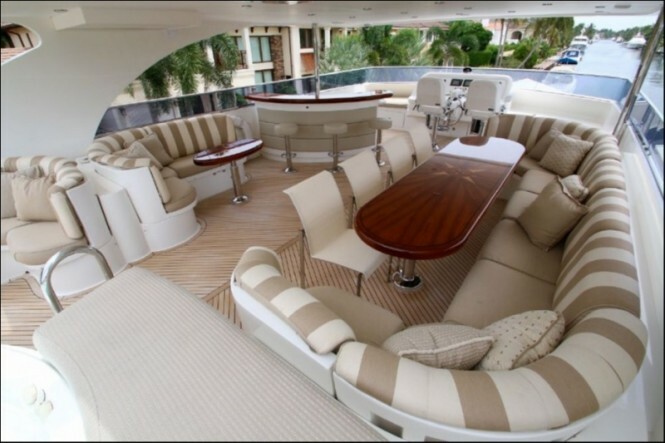 Reserve your preferred dates ahead of the winter season start and contact CharterWorld now. 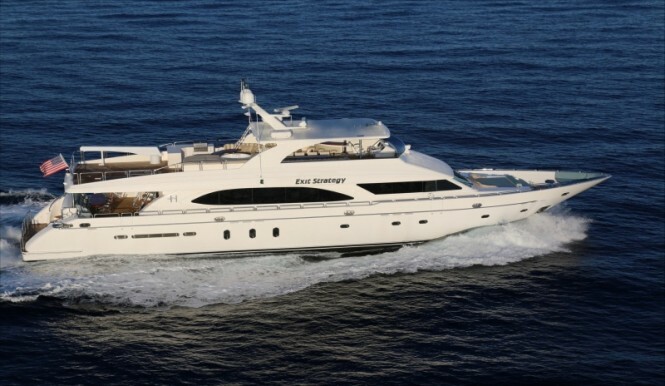 Please contact CharterWorld - the luxury yacht charter specialist - for more on superyacht news item "Special offer: Reduced charters in Florida with luxury yacht Exit Strategy".